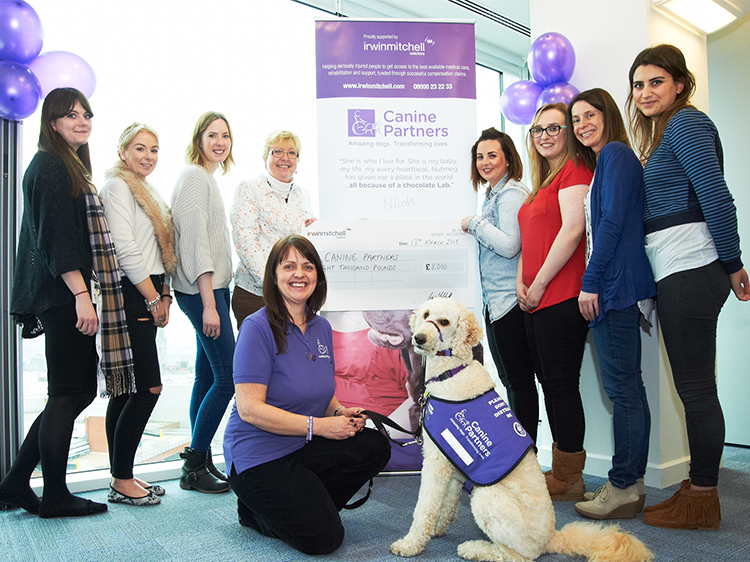 Giving a gift of more than £1,500 to Canine Partners will make an enormous difference to our work. Each year we aim to train more of our amazing dogs to help an increasing number of people to start their lives with the assistance and companionship of a canine partner. The number of applicants coming to us continues to grow and a larger gift can really make a difference to someone’s life. We would be happy to discuss which area of our work you would like to fund, be that a specific partnership, the training of a dog local to you, or a contribution towards the new centre being built in the Midlands, which will transform hundreds of lives for years to come. You will be looked after by our dedicated Major Donor Officer, who will keep you up to date about how your donation has helped, and ensure you know about other areas of our work that may interest you and events you may wish to attend. We will also respect your privacy should you wish to keep your gift anonymous. Major donations from individuals, or organisations, help us to transform the lives of people facing the daily challenges of physical disability, giving them the gift of independence, greater confidence to live their lives to the full, and years of loyalty and unconditional love. With your help we can truly create a life-­changing partnership.